No one likes to talk about death, but it’s still an inevitable truth that we all need to deal with eventually. There’s no way to avoid it, but what we can do when we’re still alive is making sure that our loved ones will be taken care of (at least, financially) upon our eventual demise. This is the reason why life insurance policies exist. This is also the reason why wills exist – so that we’re able to properly divide whatever assets are left behind. Writing a basic will in Singapore with the help of a lawyer typically costs between S$99 to S$500, but many don’t know that there’s actually no legal requirement in Singapore that a will must be prepared or witnessed by a lawyer. Thus, one could very well draft a will by themselves and it’ll still be recognised. However, writing a will isn’t common knowledge, and many need some form of guidance when planning their legacy. In light of this, OCBC Bank has just launched an Online Will Generator, a free online service to help Singapore citizens and residents aged 21 and above prepare their wills within 10 minutes. Developed in-house as part of OCBC Bank’s Silver Years programme, the OCBC Online Will Generator is most helpful to those with a straightforward distribution of assets. Writing a will using the OCBC Online Will Generator can be done using any computer, laptop, or smart device. The online template provided by OCBC Bank will produce a pdf that needs to be printed and signed by the Testator and two witnesses. 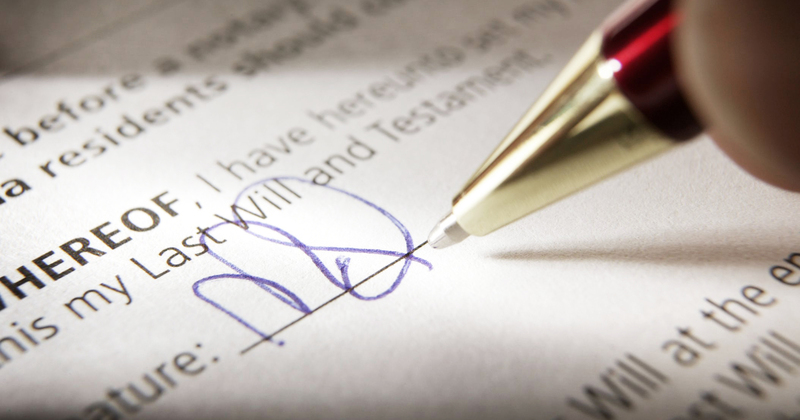 The printed and signed will should then be stored in a safe place, and its location be added to the Wills Registry, and made known to the executor(s). OCBC Bank also states that the Online Will Generator “utilises a basic will template and does not necessarily deal with every important topic or nor cover every aspect of the topics with which it deals”. It also does not “contain or convey any legal or other advice”. Those with more specific will requirements (Islamic law, persons under 21, not residing in Singapore etc.) should still seek legal advice from qualified lawyers. 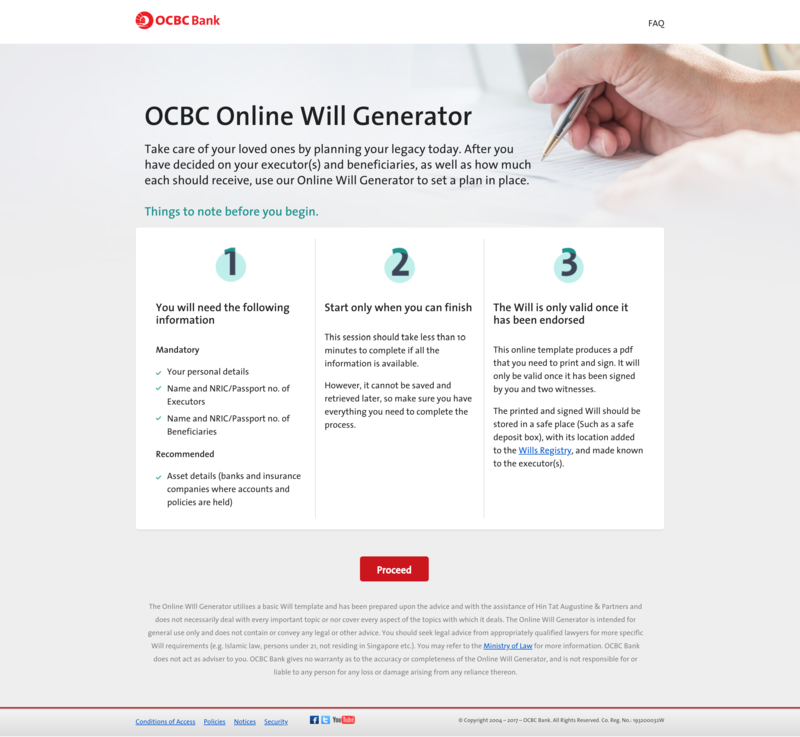 Start planning your legacy with OCBC Bank’s Online Will Generator here.